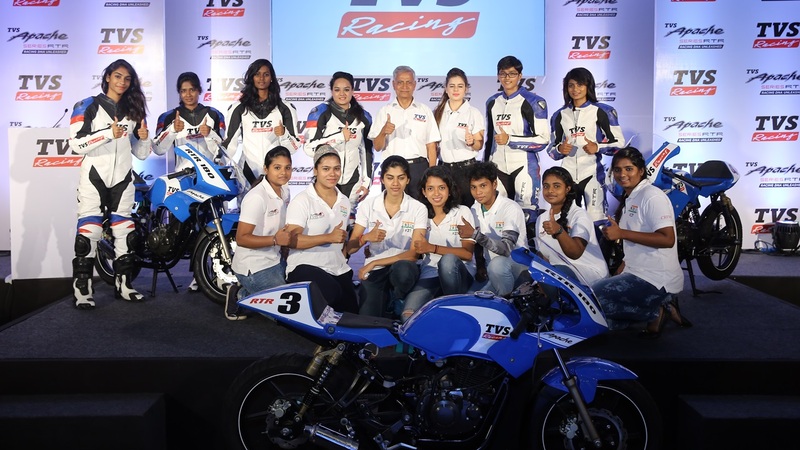 TVS Racing partners with Alisha Abdullah Racing Academy for Women | IAMABIKER - Everything Motorcycle! Motorsports still continues to interest a very small fraction of Indian enthusiasts but the number is still much higher than what it used to be a few years back. Now young enthusiasts take motorsports seriously and TVS gets a lot of credit for that. TVS racing has been around for almost three decades and over the years, they have been participating in different events and pushing the motorsports scene in India. Now taking another step in the same direction, the two wheeler manufacturer has announced the association with Alisha Abdullah Racing Academy for Women. The Alisha Abdullah Racing Academy will try to support women who want to get into motorcycle racing and prepare them to step up the game. This is the first training school for women racers and the support of TVS Racing could be instrumental in the success of this initiative. To support the Alisha Abdullah Racing Academy, TVS Racing will not only provide motorcycles prepared for track action but also offer technical expertise from the decades of racing experience. The academy has shortlisted the first batch of 18 students who will be the part of Alisha Abdullah Racing Academy for Women and will race exclusively for TVS Racing Team in the first year. The academy will be based in Chennai and the riders will be trained at the Madras track. Commenting on this development, Arvind Pangaonkar, Head of TVS Racing team highlighted how TVS Racing has always made continuous efforts to take the sport further and this association with Alisha Abdullah will help them take another step forward. Alisha Abdullah shared how the association will help the academy develop the best talent and the access to good machines and technology will further facilitate the same.